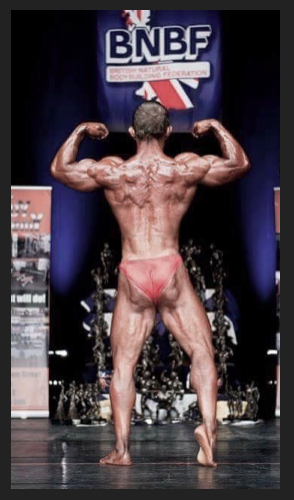 Last Time we looked at a case-study of a chronic hip flexor problem of a body builder- thought by him to be a groin strain and how we managed to solve the problem almost entirely by 7 weeks of core exercises. Here, I’m going to tell you what we did. The injury occurred during a slightly ambitious stretching manoeuvre whilst playing with his kids; I’m sure he won’t mind me tell you, he in fact tried to perform the crab, or bridge – not something that he was used to doing. He immediately felt the “pull” and sharp pain at the front of the hip. He rested and avoided exercise and rested some more and avoided exercise etc etc. and the spiral of functional decline began. See last week’s article for the run down of his journey and assessments. This is what we did to remedy the problem. He was exceptional tight in all regions, with limited range of active and passive movement, and showed exacerbated lumbar lordosis. Likewise, his range of active movement, control and stability was also very poor,. For example initially he was unable to perform the 3-point balance exercise without dropping his pelvis and losing control completely after a couple of seconds. 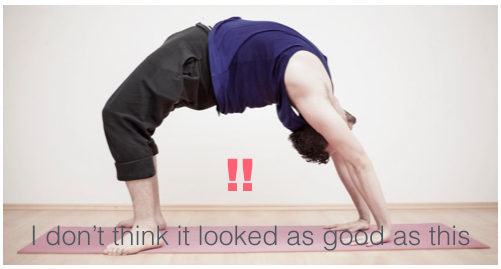 He was unable to perform the bridge exercise due to poor hamstring flexibility, which caused him to cramp . Although fairly rudimentary, all these exercises proved a significant challenge. Focus was always core stability and concentrating on correcting the lordosis. We cued him into this by getting him to press the small of his back into the floor or wall where possible and, or, focussing on posteriorly tilting his pelvis using his abdominal muscles before he performed each exercise. It was important to acknowledge pain/discomfort too – at no point during (or after) each exercise did discomfort exceed a 3-4 / 10, where 10 represents the worst pain ever, and 0 no pain at all. 7 weeks of daily perseverance paid off! Surprising perhaps, but he reported complete resolve of pain and discomfort during every activity, including sitting, walking, and even when he got our of bed. He was thus able to increase his activity levels and gradually progressed to perform the most challenging of exercises with good technique and without cramping. He’s now working on an advanced programme of flexibility strength and control to future proof him from injury reoccurrence. A happy and successful outcome and we were privileged to be able to help him! If you’d like to know how to lean how you can manage injury as a fitness professional, sign up for our injury-starter pack here and download the free cheat sheet and videos. We’ll also send you pertinent articles and information and exclusive course offers.